Please join us for a casual networking event with women elected officials and candidates. Our special guests include former Speaker of the Colorado House and current Congressional candidate Crisanta Duran, State Representative Yadira Caraveo, current U.S. Senate candidate Lorena Garcia, current U.S. Senate candidate Danielle Kombo, and State Senator Julie Gonzales. The event is free! You buy your own brew. Donations supporting the work of Colorado 50-50 will be gladly accepted. 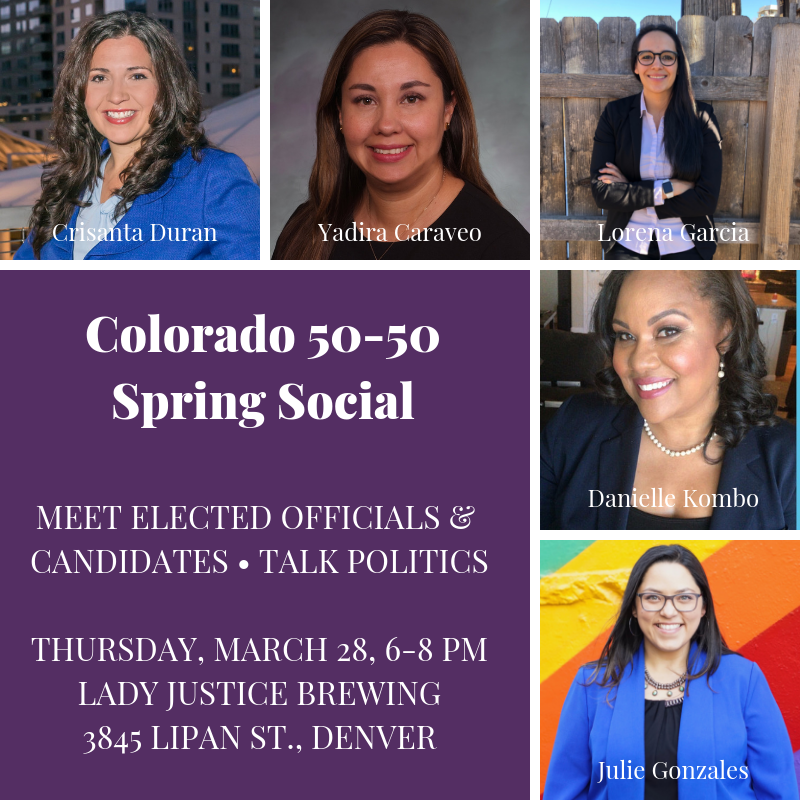 We look forward to seeing you on Thursday, March 28, 6-8 PM, at Lady Justice Brewing, 3845 Lipan St., in Denver.